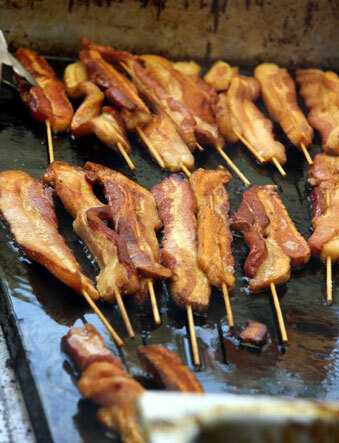 1/4 pound of maple-glazed bacon on a stick! 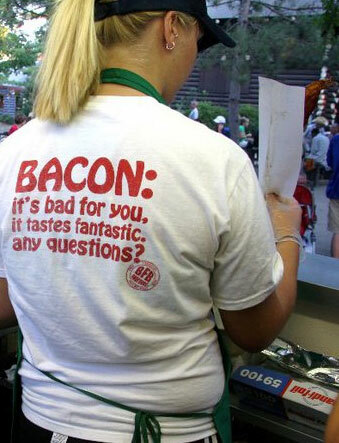 Only at the Minnesota State Fair! 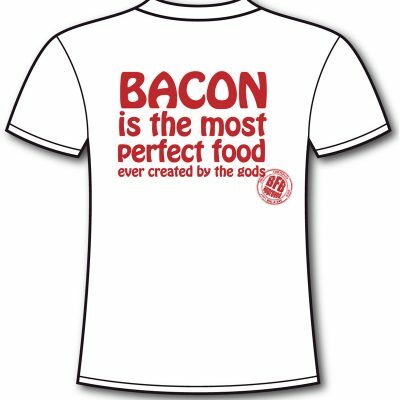 Come to the Minnesota State Fair and get as much as you want! 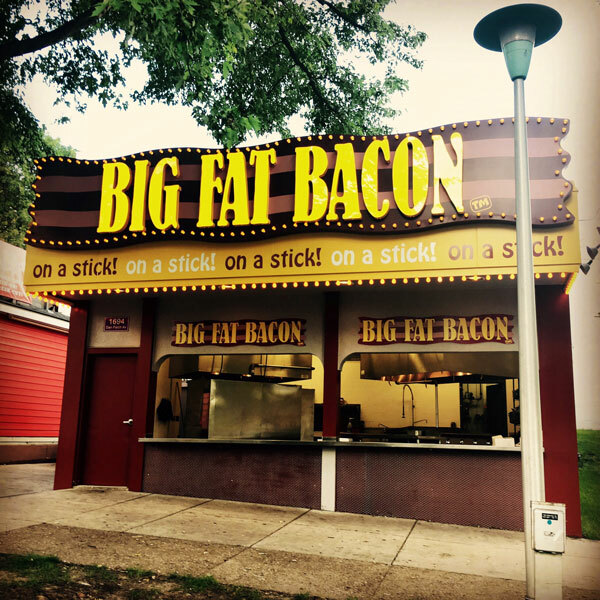 We’re located on Dan Patch Ave. By Fan Central. See you soon! 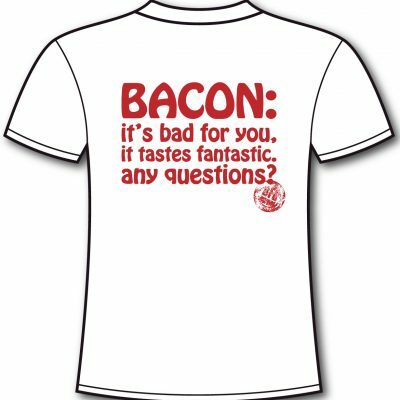 Bacon: it’s bad for you, it tastes fantastic, any questions? 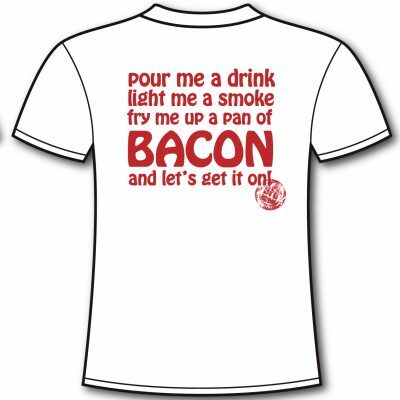 Pour me a drink, light me a smoke, fry me up a pan of BACON and let’s get it on!